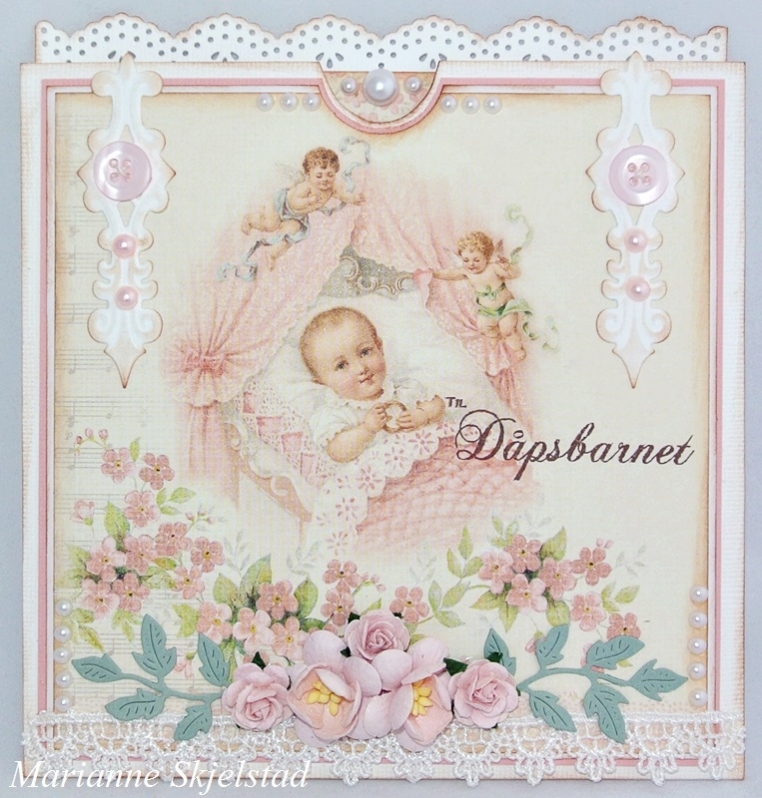 The beautiful Sweet Baby papers can be used for so much more than baby cards, but with these lovely baby images I just had to make a baby card in pink. This is a tag card where the motif get to be the focus point. 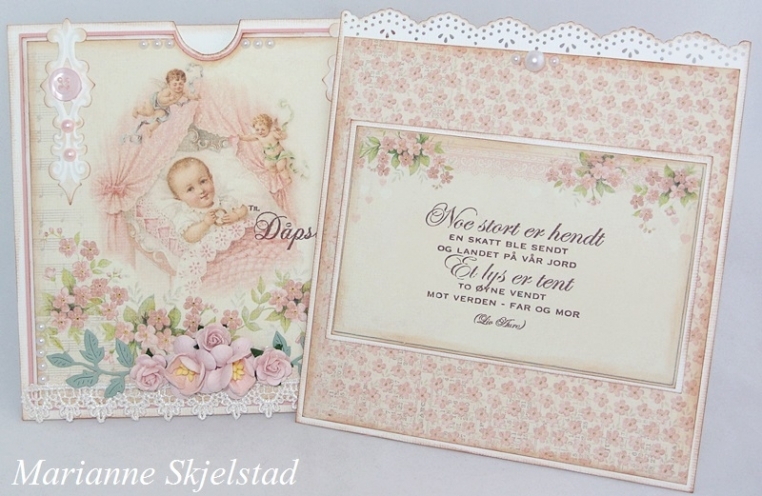 The text is from the sheet Cut out, and as a writing space on the back of the tag I have used the sheet Baby girl.